Free Yourself Learn How to Fly‎! Easy to learn and FUN for all ages. Daily Flyboard Sessions. Flyboarding is available for ages 10 and up. Riders must be at least 80 lbs. Learn More! Learn basic paddling skills as you experience a bird's eye view of Florida's native wildlife, including manatees, stingrays, tropical fish and even dolphins. This tour is perfect for all skill levels. Guests & members may sign up from our booths located at the marina (Watersports Cabana) and the Beach Club (on the north side of the beach). Guests & members may sign up from our booths located at the marina (Watersport Cabana) and the Beach Club (on the north side of the beach). A watersport rental membership that's ideal for seasonal residents. Save money and hassle free. All our waverunners are Yamaha VX110's. They fit up to 2 adults very comfortably. Great for individuals or small groups looking for a way to explore the ocean or intracoastal in a fun way. 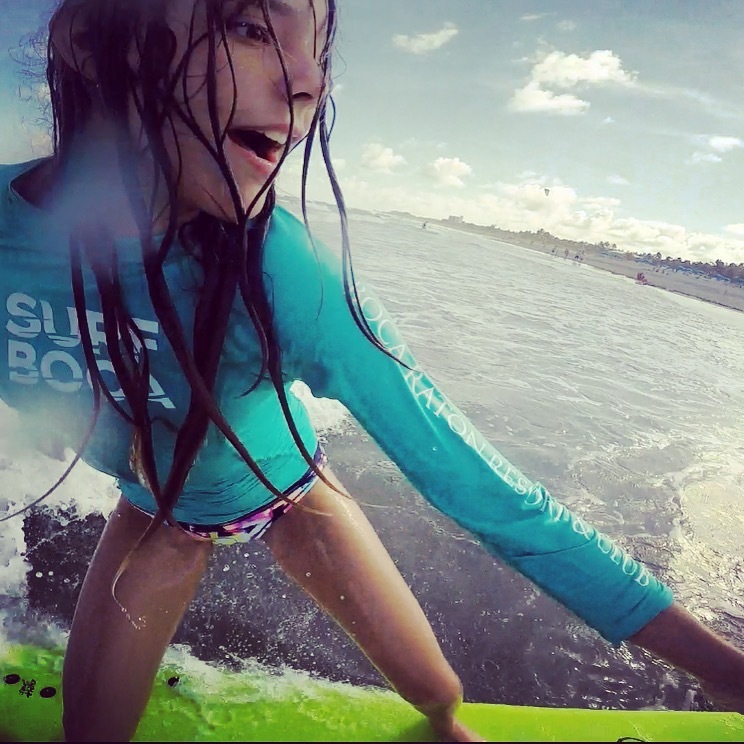 Our surf lessons emphasize safety and explain conditions, the art of catching waves, how to stand and ride waves. Lessons are for people of ALL AGES & SKILL LEVELS. We offer private, semi-private and group surf lessons. This is a great activity for all ages. Each banana ride is capable of carrying up to 8 people. We provide a captain for your safety. We require all riders wear a Coast Guard approved life vest. Each passenger must be able to swim on their own. We offer lots of toys for every age. A BIG SUP (pictured above) $85hr, Tubes, Body Boards, Skim Boards, Bocce Ball and floats. Everyone will have something to do! Book this amazing 1 hour snorkeling experience to the south inlet reef. The South Inlet Park reefs are both natural (west & north) and artificial (east). Located on the south side of the Boca Raton Inlet. $ 405 / 2hrs & $100 each additional hour includes fuel. Boats launch from the marina watersports dock. Guests may travel on the Intracoastal Waterway only. We offer tandem and single Kayaks. Kayaks are available from the Beach Club and the Marina. Kayak tours also available in the intracoastal waterway. Night paddle tours are an adventure! The Intracoastal is magical at night. Use a lighted paddle to see underwater ... an easy and fun outing for one or a group!